Catholic Bible 101 - Jesus Had Brothers?? So why exactly does the Catholic Church proclaim as dogma that the Blessed Virgin Mary had no other children besides Jesus? Doesn’t a casual study of the Bible prove that Jesus had brothers, and that Mary had relations with Joseph after Jesus was born? Well, no, it doesn’t, but in order to come to the truth, one has to study the entire bible, and know the exact meaning of certain words. In other words, actually STUDY the bible, and not just take everything on superficial face value. So let’s take a look and see why Mary’s Perpetual Virginity is indeed the Truth. "When a man vows a vow to the LORD, or swears an oath to bind himself by a pledge, he shall not break his word; he shall do according to all that proceeds out of his mouth. Or when a woman vows a vow to the LORD, and binds herself by a pledge, while within her father's house, in her youth, and her father hears of her vow and of her pledge by which she has bound herself, and says nothing to her; then all her vows shall stand, and every pledge by which she has bound herself shall stand. But if her father expresses disapproval to her on the day that he hears of it, no vow of hers, no pledge by which she has bound herself, shall stand; and the LORD will forgive her, because her father opposed her. And if she is married to a husband, while under her vows or any thoughtless utterance of her lips by which she has bound herself, and her husband hears of it, and says nothing to her on the day that he hears; then her vows shall stand, and her pledges by which she has bound herself shall stand." 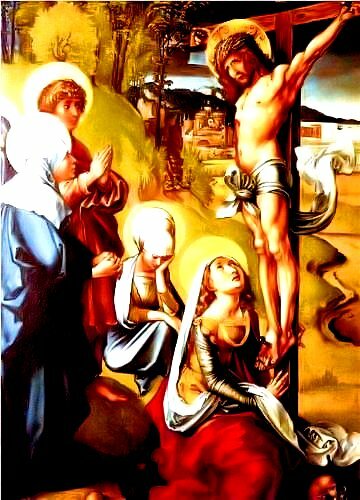 In John 19:26, Jesus gives his mother to the Apostle John, which would violate Jewish customs that the next son in line would have to care for the mother. Jesus made sure that Mary was taken care of by a non-blood relative, the apostle John. But what about Matthew 1:25, where it says that Joseph knew her not UNTIL she borne a son? Doesn’t the word “until” mean that Joseph had relations after Jesus was born? No, it doesn’t. If a Dad tells his kids to be good UNTIL he gets back, he is in no way implying that they should be bad after he gets back! Jesus said that he will be with us UNTIL the end of the world, which in no way implies that he will not be with us after the end of the world. And in 1 Timothy 4:13, Paul says to attend to scripture, preaching, and teaching “until I come.” In no way is Paul implying that Timothy should ignore those things after Paul returns. In 1 Corinthians 15:25, Paul says that Christ must reign UNTIL he has defeated His enemies. Paul is not saying that Jesus will stop reigning after that! But besides all of the aforementioned, Mary is the bride of the Holy Spirit, because the Holy Spirit impregnated Mary with Jesus. This HAS to be a truism, unless you really want to believe that the Holy Spirit was somehow fornicating with Mary (an IMPOSSIBILITY) and that Jesus was the illegitimate son of Mary and the Holy Spirit. St. Joseph would in no way want to infringe on the Holy Spirit’s right to the body of Mary with any conjugal relations. That right belonged to the Holy Spirit only, not any man. Mary surely needed a man to protect her and care for her on this earth, and God chose the holy St. Joseph for this task, not only because he was chaste and holy, but also because Joseph was a direct descendant of King David. Jesus had to be born a true son of David in order to claim the crown of the Kingdom on earth that had been vacated since the divided Kingdoms fell 500 years earlier. And Joseph knew that Mary would have been put to death if people thought that she became pregnant through fornication with no husband, so St. Joseph served as her protector in that regard as well! 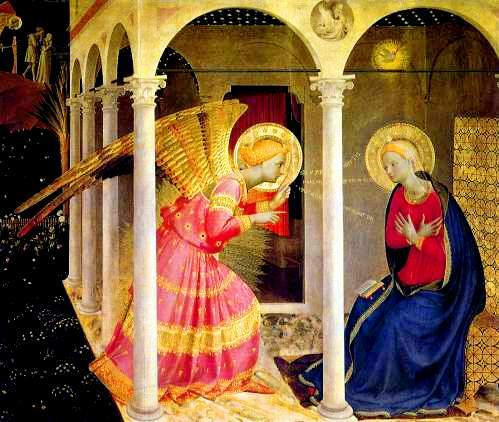 So, as the old riddle goes, "What do you get when you combine Mary with the Holy Spirit? JESUS!! !